I’m regularly asked what my favourite Dartmoor walk is, and just as regularly answer that I don’t have one – there’s too many to choose from. But what I can do is list the ingredients for a great walk, and those routes that tick all or most of the boxes will feature in my all-time top ten (or perhaps twenty). 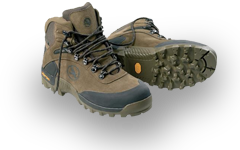 · Tors: Brilliant. Amazing granite formations, particularly at Honeybag Tor. And so many others to see all around. · Mires: Every good Dartmoor walk should go past (but not through) a lush green mire. In winter there may be golden plover having a feed, in summer the wonderful mire plants such as sundew and bog asphodel can be found, at all times there’s carpets of quaking sphagnum moss and when the sun shines on a miry hillside the whole area sparkles like jewels. This walk features several – tick. · Sites of historic or prehistoric interest: Dartmoor is an incredible outdoor museum so it’s quite hard to not find some of these if you know what you’re looking for. This walk is more about natural features, though. Only passed one hut circle with associated reaves and a cairn, so not a high score. · Landscape diversity: I like trees as well as high moor, valleys as well as tors. 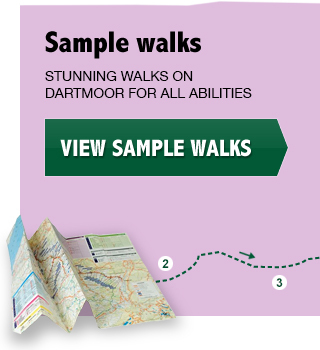 A good walk will showcase all the amazing scenery Dartmoor has to offer. This route scores very high on this point – you can see it all from the ridge. · Peace and quiet: This walk will not score well for this one. Although I saw no-one at all today, Bonehill Rocks is a very busy spot in general (you can get to a tor without having to walk more than a few feet, hooray!). By the time you’ve worked your way over to Honeybag Tor, it’s likely to be quieter, but then you still have to come back via Bonehill. So no recommended for high season. · Ponies: Well they do you their own thing don’t they? Can you think of any other ingredients that I’ve missed?